Bernard Tomic’s retirement from his first-round match at Roland Garros could actually be his blessing in disguise. The latest news to come out of the Tomic camp is that his suspected torn muscle is only a one week injury, meaning he is most likely to take part in the Championships next month. The tennis Gods, though apparently cruel to this talented young Australian, are giving him the turn-around he needs. With Tomic’s favoured grass-court season comes ever closer, it’s clear that there is now a chance to reinvent himself, and at only 20 years-old, it’s the perfect time. Not that he seems to be doing it, however. 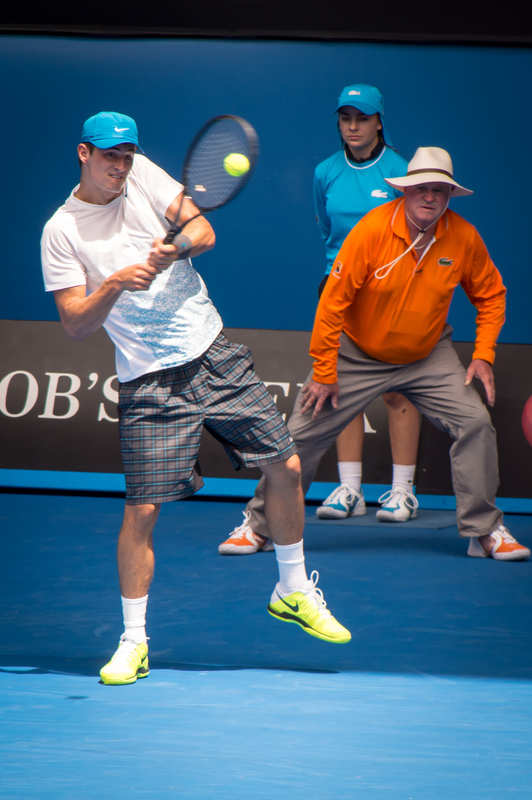 Despite the French Tennis Federation banning father and coach John Tomic from attending the tournament, even as a spectator, Bernard revealed that John is currently in Paris. John Tomic was barred after an incident which saw Bernard’s hitting partner Thomas Drouet suffer severe facial injuries in Madrid earlier this month. Tomic was quoted in his press conference as saying that his father “will always be my coach, he knows me better than anyone”. Whilst that may be true, separation from his personal and professional life could be a good thing for the embattled Australian. Not only does Tomic currently have to deal with the pressures regarding his own form and tennis, but also about his controversial father and the impact that that has on his career. For a 20-year-old, that is a lot of responsibility. By separating the personal life and being able to focus on his tennis as a stand-alone, it could draw Bernard’s focus away from the off-field, and back onto the on-field. Tomic also stated that he is on the look-out for an “assistant” to help both his father and himself, but concedes that that will probably happen “after the grass [tournaments]”. After a career-best quarterfinal berth at the Championships in 2011, the prospect of not having a coach at the tournaments is mind-baffling for the grass-court fan. Seeing as though Tomic has the better part of two weeks to recover from his leg injury, the time should be put toward actively finding someone to work with him in the lead-up to Wimbledon. Perhaps he might find someone who knows his game as well as his father. Whilst it isn’t certain how the recent events will affect his form in Grand Slam tennis, if Wimbledon is a failure, it might just be the sign to look elsewhere; outside of the family and out of the front page spotlight.